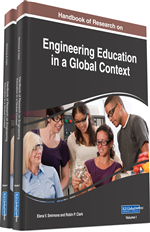 In the chapter, topical issues of development of the competence-based bilingual educational programs for training of specialists of an engineering profile, capable to solve at the international level complex scientific and technical challenges taking into account requirements of professional standards are considered. The special attention is paid to methodology of synthesis of training systems including virtual laboratories, computer simulators, and systems of imitating modeling for the practical-oriented training of specialists. The method of estimates of acquired professional competences on the basis of models of control of knowledge is offered, to implementation of scenarios and the analysis of protocols of training that allows to increase safety and efficiency of productions due to growth of qualification of personnel of industrial enterprises. Skill: An operation (the simplest action) performed in a certain way and with a certain quality. Assessment of Competences: A way to evaluate the level of mastering the educational results of the learner, necessary for performing labor functions in accordance with the criteria for training. Trajectory of Instruction: The recommended sequence of mastering learning elements, which ensures the listener of achieving the set of educational goals. Professional Competence: The educational result reflected in readiness to perform a certain practice in the professional sphere, on the basis of a system of knowledge, skills, and experience of the learners. Educational Results: The mastered knowledge, skills, professional and general competence, and acquired experience of practical activity. Training System: The software designed for training and testing of certain skills and abilities. Engineering Education: The process of mastering educational results (knowledge and skills), which includes a number of specialized disciplines aimed at the practical application knowledge in the field of professional activity. Knowledge: The information about the properties of objects, the laws of processes and phenomena, and the rules for using this information for decision-making, mastered by the learner at one of the levels allowing performing mental operations on it. Professional Module: An autonomous didactic unit designed to develop a type of professional activity or to form several professional competences, usually related to one type of professional activity. E-Learning: A distance learning method where the teacher and the trainee are split by distance and all or most of the training procedures are carried out using modern information and telecommunication technologies.